What is the difference between Tableau Reader and Tableau Viewer? Tableau Reader is a free product that was created in the early days of Tableau to allow analysts and content creators to distribute content they built in Tableau Desktop. This was before Tableau Server was made available to organizations to govern the sharing and distribution of analytics content. At the time, Tableau Reader was the only option to share interactive content with other users in an organization without access to Tableau Desktop. 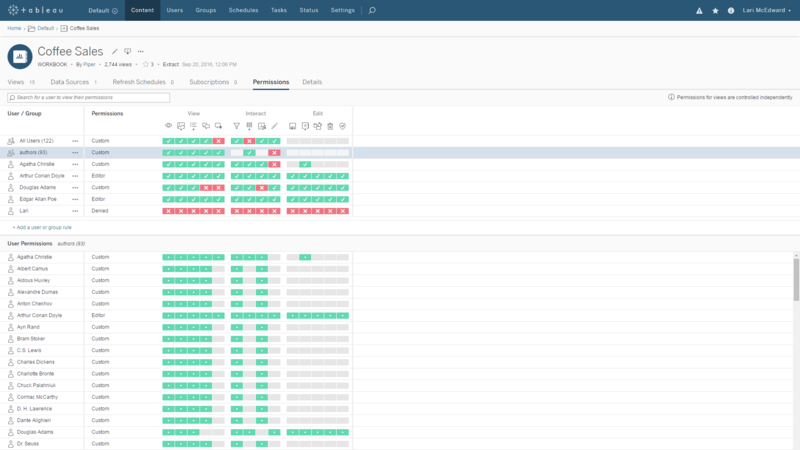 Tableau Viewer is a role-based license option on Tableau Server which allows casual users to access and interact with trusted content created by Creators and Explorers, without putting the security of your data at risk. In terms of functionality, Tableau Reader lacks the governance, security and administration capabilities which are essential for mission critical production deployments of Tableau. In addition, Tableau Reader users can only access and interact with local workbooks (see the comparison chart below for a detailed product comparison). These product limitations make Tableau Reader an appropriate option for some proof of concept projects but the wrong choice for deploying analytics at scale across your organization. Is Tableau Reader really free? Tableau Reader is a free software download but it is not free to deploy and maintain if used as an alternative to Tableau Server. Organizations must consider the significant cost associated with valuable IT resources deploying and supporting a Tableau Reader deployment. There is also the potential cost of compliance issues associated with the lack of governance in Tableau Reader. Tableau Reader deployments require source files to be shared and accessed locally which means that IT has no visibility into where the files go or how they are used after they are created. The role-based server licenses offered by Tableau empower IT to secure, govern and administer a production deployment while significantly reducing the risks and hidden costs that an organization is exposed to when trying to deploy Tableau Reader at scale. Information on how to choose the mix of Tableau Server roles that are right for your organization can be found here. How do you migrate from a Tableau Reader deployment to Tableau Server? If you already have a Tableau Reader deployment that is growing out of control, you should consider the benefits that Tableau Server will offer. The first step when considering a migration from Tableau Reader to Tableau Server is to inventory your current usage. Determine how many users, workbooks and data sources comprise your Tableau Reader deployment. The next step is to quantify the cost of managing the deployment based on the inventory of users and content. How much does it cost to manage and distribute this content and what is the opportunity cost associated with IT not doing more strategic work for your organization? 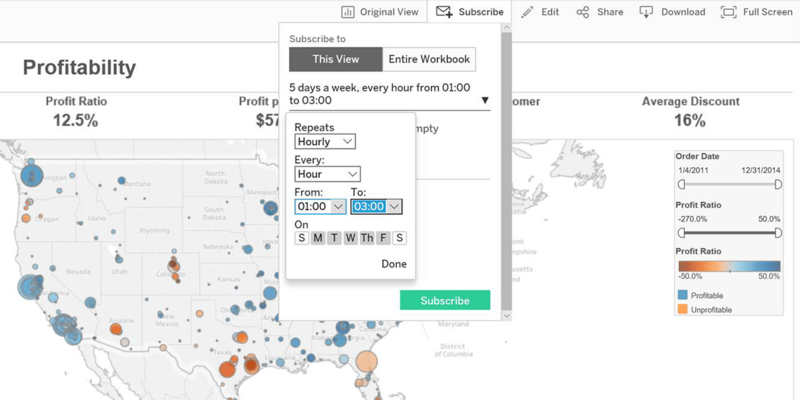 The impact to business processes should be determined next with a focus on how much more value can be unlocked by sharing and collaborating around shared content available on Tableau Server. Finally, make the case to invest in Tableau Server and move Tableau Reader content to a governed environment where your users can experience the full power of Tableau.